Today’s post is in honor of Sgt. Michael J. McMullen, who on this day in 2006 died of wounds sustained from an improvised explosive device in Ramadi, Iraq. The 25-year-old from Salisbury, Md. 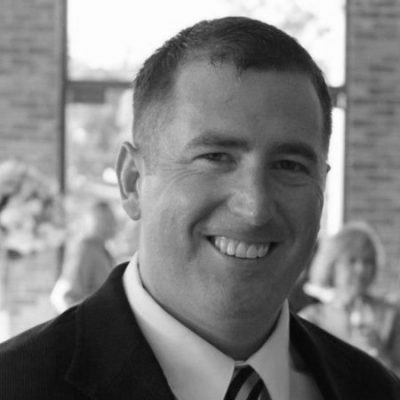 served as a firefighter-paramedic on the Salisbury Fire Department and was assigned to the Maryland National Guard’s 243rd Engineer Company. McMullen was posthumously awarded the Silver Star (for saving the life of a fellow soldier during the attack), the Purple Heart, and promoted to Staff Sergeant. One suggestion from a Naval antisubmarine officer made the most sense: sail an aircraft carrier within striking range and launch Army twin-engine bombers. 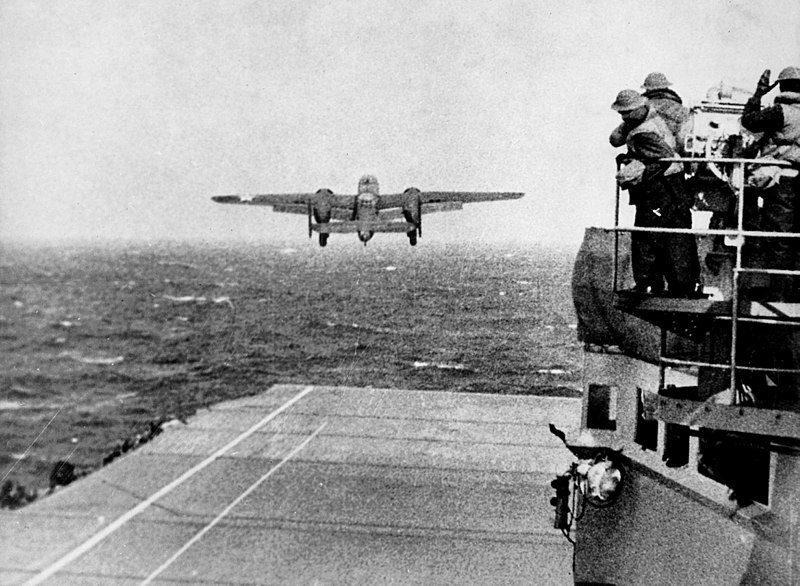 The “Doolittle Raid” is born, and will be carried out in just three months. 1943: Japanese troops on Guadalcanal’s Mount Austen knock out a machine gun section of 25th Infantry Division soldiers that were protecting their battalion. Sgt. William J. Fournier and Technician 5th Grade Louis Hall disregard orders to withdraw and man a still-operable machine gun, pouring fire into the enemy and inflicting heavy casualties until both soldiers are killed. Fournier and Hall are posthumously awarded the Medal of Honor. 1945: Master Sgt. Vito R. Bertoldo engages in an incredible two-day-long, one-man battle against German infantry and armor while defending a command post in Hatten, France. As German armor and infantry pound his position, Bertoldo moves his machine gun from place to place, holding off the attack despite tanks pouring fire into his position from less than 100 yards away. Armored personnel carriers attempt to knock him out, but he waits for them to dismount and then cuts down the entire group. 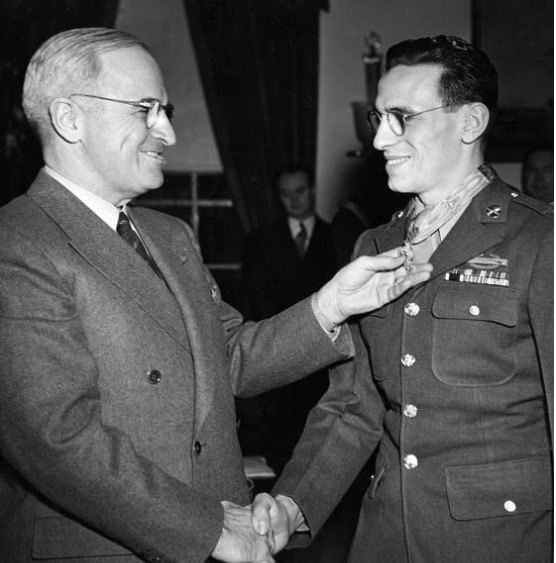 Sergeant Vito Bertoldo receiving the Congressional Medal of Honor from President Truman for his service in Hatten, France during World War II, January, 1945. When orders come down to abandon the post, Bertoldo remains behind to cover the withdrawal. After holding off the Germans all night, he moves to another position and defeats additional assaults, including near point-blank rounds fired by enemy tanks. Incredibly, he withstands numerous tank shells impacting his location and holds off assault after assault until the next evening. When his machine gun is finally blown up, Bertoldo uses a rifle and white phosphorous grenades to foil one last German attack. Incredibly, he survives his grim battle against insurmountable odds and is awarded the Medal of Honor the following year. 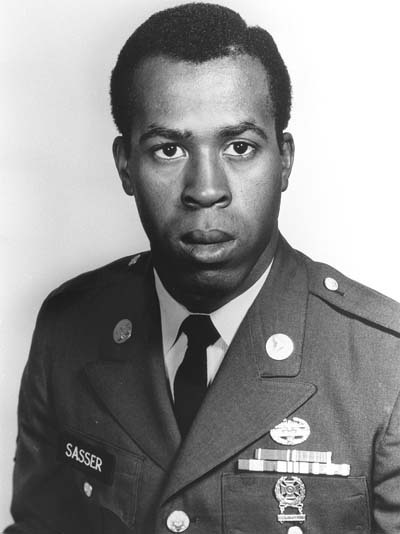 1968: Specialist Clarence E. Sasser and his company are ambushed on three sides by enemy fire as helicopters drop them off for a reconnaissance mission in the Mekong Delta. Within moments, Sasser’s company has taken 30 casualties and the medic must race through the killzone multiple times to treat his wounded soldiers. Sasser is hit multiple times himself, and refuses medical attention despite the fact that his legs are immobilized and he has to drag himself to treat the wounded during the five-hour engagement. President Richard Nixon will award Sasser the Medal of Honor in 1969. Featured image: Guadalcanal, 15 January 1943 – A wounded soldier from the 25th Infantry Division’s 35th Infantry Regiment is being assisted down a steep jungle hillside, then through the jungle to the river and by boat and ambulance to a nearby hospital.